Wednesday, June 20, Jacksonville University (JU) Master of Science in Speech-Language Pathology (MS-SLP) student Erin Marsh received a $10,000 scholarship, a grant gifted by Nemours Children’s Specialty Care Clinic and presented during a celebratory dinner at the annual Nemours Cochlear Implant Camp for children with hearing loss at Camp Chewenwaw in Green Cove Springs. Marsh, a graduate student and intern under Catherine Swanson of Nemours, is in her final year of the competitive graduate-level program that launched in 2014 at JU. 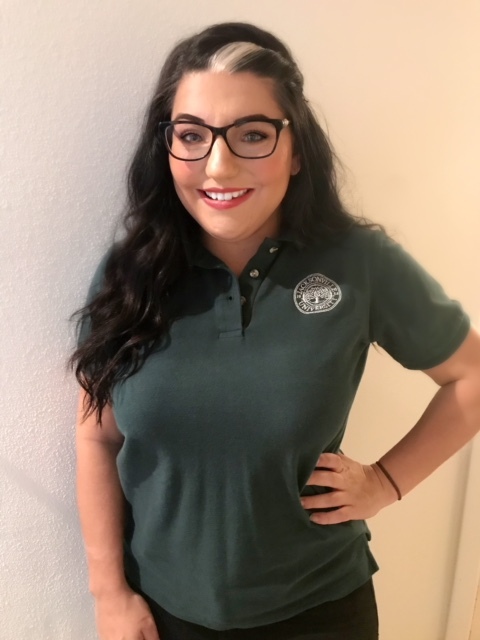 She first heard about the scholarship opportunity from JU speech-language pathology and BRCHS professor, Dr. Judith Wingate, who encouraged her students to apply. During the lengthy interview process, Marsh says, “I just presented the reason I’m pursuing a path working with deaf and hard of hearing.” The reason is straightforward. She is also deaf and hard of hearing, and has a passion for serving children experiencing similar challenges. But that hasn’t stopped her. However, her applications to multiple graduate programs were rejected based on standardized test scores and lack of clinical experience. She says that few schools seemed interested in her glowing academic record and personal experiences living with a disability. 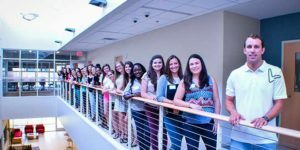 “When I arrived for orientation, I fell in love with JU. It felt like the professor and students had a great relationship and were a family. I also loved the STAR lab.” She says the faculty immediately engaged with her, and were both encouraging and genuinely interested in the students. Her summer consists of three courses, including the practicum with Nemours. Practicums function like unpaid internships for MS-SLP students, and are required each semester, for a total of four experiences over the two-year program. The Nemours scholarship involves placing recipients into predetermined clinical experiences. 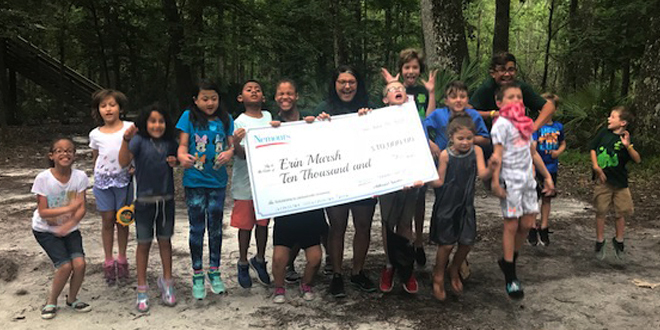 For Marsh, clinical time has involved working in a Deaf and Hard of Hearing program at Waterleaf Elementary in Duval county, an outpatient setting at Nemours Specialty Care Clinic, and later, an externship at Clarke Schools for Hearing and Speech. Currently, she works 15 to 20 hours per week, with most of her time at the main Nemours location in San Marco, working with predominately deaf and hard of hearing children. 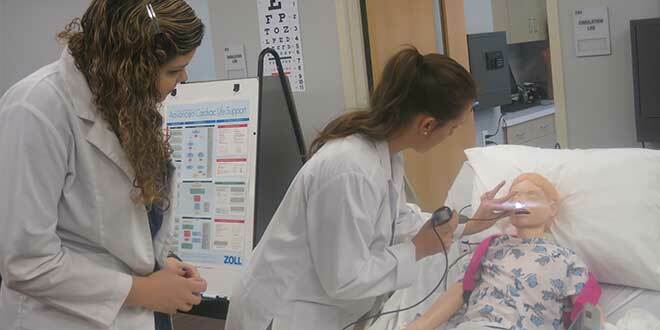 For more details about the Master of Science in Speech-Language Pathology Program (MS-SLP) at Jacksonville University and planning a career as a speech-language pathologist, please visit JU’s Brooks Rehabilitation College of Healthcare Sciences online.